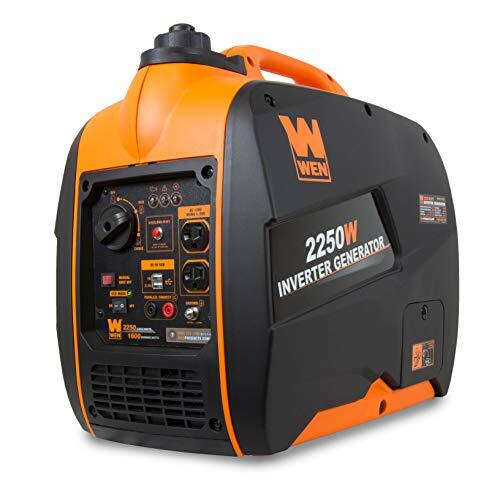 Inverter generators are a great option for when you need a portable power source. The only downside is that most inverter generators don’t carry that much power with and average of 1000 – 2000 watts. We understand that you sometimes need a little more juice to have every electrical device you need running. This is especially true for when you are traveling in an RV. 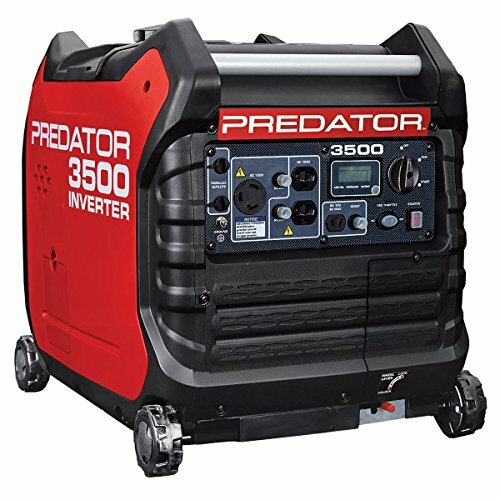 Specially for those that need a portable generator with a little extra power but are not looking for a conventional portable generator, we have selected the best inverter generators that hold 3000 watts of power. Read on to discover our recommendations for the best 3000 watt inverter generator. Scroll further down for a quick inverter generator buying guide to help you make your choice. 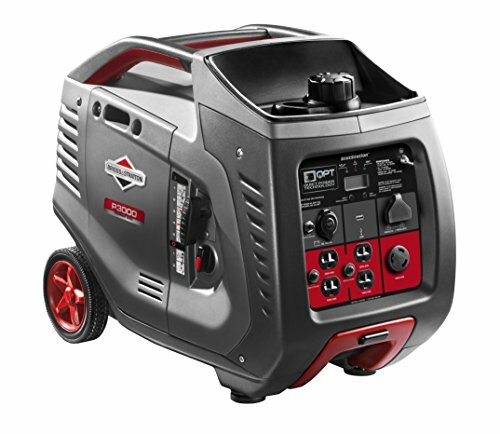 The Briggs & Stratton 30545 P3000 tops our list for best inverter generator because it is user-friendly, good value and delivers on power and run time. Everything you expect from a good quality inverter generator by this renowned brand. The brand developed Quiet Power Technology is what makes this inverter generator quieter and more fuel-efficient. Turning on this function automatically adjusts how fast the engine runs to what is exactly required by the load. Another great feature is that this model is parallel capable. This gives you twice the power by connecting a second Briggs & Stratton 30545 P3000 without having to make another connection to the main switch. The manufacturer has also made this model more user-friendly. It has an LCD screen to monitor how much power is being used, how many hours it has run and when maintenance is required. Other plus points are the USB port for direct charging of personal electronics and the telescope handle that makes up for the extra weight of the model. Overall, great value for money with the option to expand the power. The Champion Power Equipment 75531i is our runner-up with good run time, high power and a quiet engine. Its qualities are not far behind the Briggs & Stratton model at number one but just falls behind for lesser portability and lack of a parallel option. Aside from those two minuses, the Champion Power Equipment 75531i is a very handy companion on outdoor adventures. It is made of sturdy materials and has never-flat tires for when you are on a rough track. The manufacturer has also paid attention to the mechanics of this inverter generator. It has a trustworthy single cylinder 171cc engine which is air cooled and an automatic low fuel shutoff to protect from damage. This model also has a fuel-saving and noise reducing function called the economy mode. Even so, it has a respectable run time of 8 hours at a quarter load. Finally, it is an easy to handle inverter generator with a standard setup that already matches the settings for RVs. You can take this inverter generator anywhere since it is both EPA and CARB compliant. The Honda EU3000IS1A may not be the prettiest generator to look at but this compact package packs a punch. It holds 3000 watts surge power and 2800 watts running power on a large 3.4 gallon fuel tank. 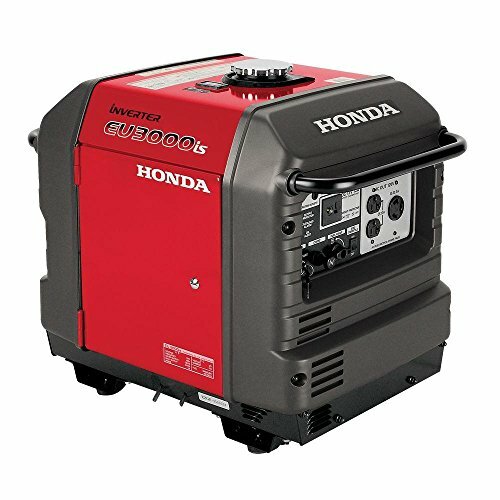 The larger fuel tank explains why this Honda inverter generator is capable of its most impressive feature; a run time of 20 hours at a quarter load. This is the longest run time (by far) of any inverter generator on this list. Honda has also fitted this inverter generator with a few safety features. It has an automatic circuit breaker and low fuel shutoff. The downside of this model is how heavy it is. At 134 pounds it is the least portable model but perhaps it is better used as a home backup generator, especially when you make use of its parallel set function which gives you 6000 watts of power. The final great feature is how incredibly quiet the generator is. The engine can run as quiet as 50 decibels with a maximum of only 58 decibels. 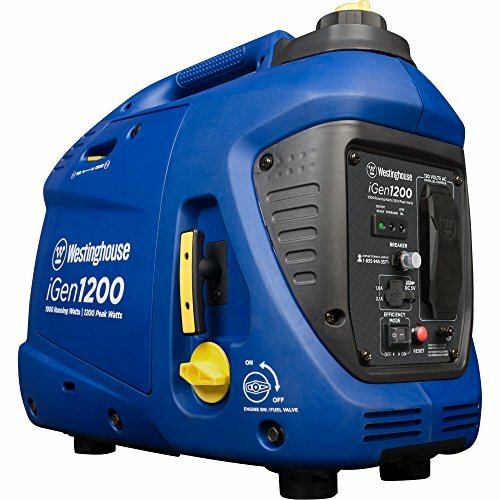 Okay, so this list is for the best inverter generators at 3000 watts but the Westinghouse iGen2200 still deserves a spot even though it has 3600 running watts. The next best Westinghouse model in the iGen2200 series holds much less power at 2200 watts which is why bumped it up to this more powerful model. The engine and fuel efficiency of the iGen2200 is very impressive. This model has an average sized fuel tank of 1.2 gallons but it is enough for an impressive run time of 12 hours at a quarter load. Other perks are that it is capable of connecting a parallel set which gives you a whopping 7200 watts running power and 8800 surge watts which is enough to run all the essentials in your household like the airconditioning, water heater and refrigerator. Surprisingly, all this power comes with very little noise. The noise output is measured at only 52 decibels which is less than both the Briggs & Stratton 30545 P3000 and the Champion Power Equipment 75531i which are both less powerful. All this comes with an environmental seal of approval since it is both EPA and CARB compliant. Westinghouse truly stands behind their work which is shown by the three year warranty and free technical support forever. Predator is somewhat of an underdog with the many well established brands on this list. However, the brand delivers on quality and features with this model. Keep track of all the variables on the LCD screen and monitor the power usage with the light indicators showing output and warning for overloading. Though it does not have an automatic low fuel shutoff, it does have a warning light for when it is time to refuel. The Predator runs on a 212cc OHV engine that comes standard with air cooling. This engine is responsible for the impressive run time of up to 11 hours at a quarter load. This model also comes with parallel set capabilities making it a great option for RV trips. It even has a 30 amp RV adapter to make installment even easier for you. Finally, it is a decently quiet model rated at 57 decibels. This is quiet enough to take camping without disturbing the neighbors and wildlife. Though we’ve placed it in last place, the FIRMAN W03081 is definitely not one to write off. It gives good value for its price and has plenty of useful additional features. The best part of the FIRMAN model is how portable it is. 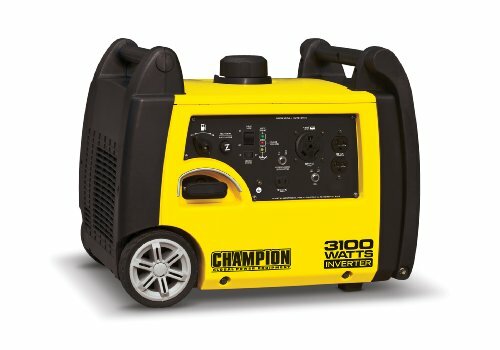 It is fitted with strong wheels and an easy to grip handle which makes carrying around this 97 pound inverter generator easy and comfortable. Its power is also great value for its price with a running power of 3000 watts and surge power of 3300 watts. The engine is powered a 1.8 gallon fuel tank which is slightly larger than average for an only average run time of nine hours. An interesting feature of the model is the extensive control panel on the side. It features indicator lights, switches and many outlet types that are all protected from dirt thanks to the already fitted cover. 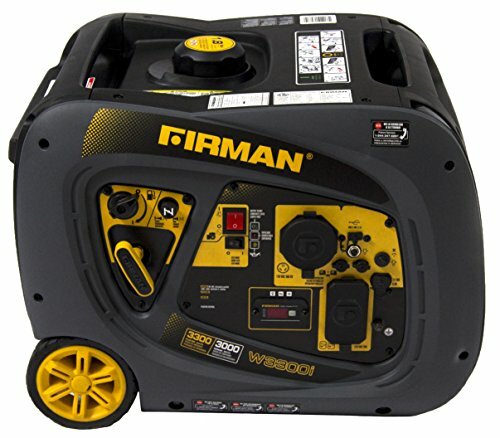 A final plus point is that FIRMAN delivers this inverter generator with a range of accessories such as oil, wrenches and a funnel. You cannot complain about freebies. Still can’t decide on the right inverter generator for you? Try to answer the following questions to narrow down your choices further. Where Will You Use the Inverter Generator? Portability is a major advantage of inverter generators but as you can see from the selection there is still quite some difference in portability between the different models and manufacturers. For camping trips, the lighter the better. Look for a model that has a comfortable grip and wheels that will roll well on uneven ground. For RV trips, you can manage with a slightly larger and heavier model since you won’t have to carry it around. For RVs it is worth the extra weight when you also get more power. Also, remember to check the noise and greenhouse gas emissions for the area you are visiting. Having an inverter generator that is both EPA and CARB compliant is your safest bet. How Long Does It Need to Run? This is probably the most important question for an inverter generator that you will be using in outdoor spaces. What are you planning on running on the inverter generator and how long does it need to run for? Most product descriptions mention the run time at a quarter load and full fuel tank. This means that you need to do some calculations if you want to be sure that you won’t loose power. Make a list of all the electrical devices you want to charge or run on the inverter generator. Then project for how many hours it will be connected during your excursion. Don’t forget that the mentioned run time is at a quarter load. This means that the inverter generator will not run as long when you’ve connected a larger load. Inverter generators are already much quieter than conventional portable generators so that is a plus. However, there is still some difference in noise levels between models. Check the regulations regarding noise for campsite or nature reserve you are planning on going to. There is no point of bringing along a generator that you cannot use. The final question to ask is how much you are willing to spend. Of course, the greater your budget, the more features and reliability you can expect. However, you can still find affordable inverter generators of good quality. You don’t need to spend a fortune.